Party Casino Review 2019 - €/£/$750 Sign-Up Bonus! Visit PartyCasino Get Your Bonus! Party is one of the most well-known names in online gambling and PartyCasino is the largest casino on the net. Accepts players from most countries. PartyCasino accepts all players except... ... players based in the U.S., Poland or German Federal States of Saxony, Baden Württemberg or Hesse But... US players in New Jersey can play at Party Poker NJ. Make your first deposit and PartyCasino will match it up 100% up to $750 to play slots, so deposit $100 and you'll they'll give you $100 extra. You earn your bonus simply by playing slots. ? Bonuses are also offered for other games including roulette. Please read the terms and conditions carefully. What better way to unwind and have a good time than to play your favourite casino games. And the next best thing to going to your favourite land-based casino, when that is inconvenient, is to let the fun and excitement come to you. 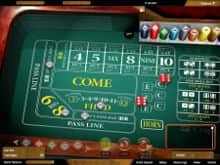 Whether you are at home on your computer, logged onto another browser, or neither, but wherever you happen to be playing on your smartphone or tablet, one virtual party where you're always welcome to join the action is PartyCasino. PartyCasino is no newcomer to the gambling business. The casino has been in existence since 2006, and its parent company, PartyGaming, dates all the way back to 1997. However, since 2011, PartyCasino has been operating as a division of bwin.party digital entertainment.pic, one of the largest online casino businesses in the world. The company was created when two online gambling companies, the Austria-based sportsbook Bwin and the UK-based online poker site PartyGaming, merged. PartyPoker.com, the primary division, which PartyCasino players have ready access to, is now the largest publicly traded online gambling company in the world. The company's mantra is "let the world play for real." PartyCasino's long tenure in the business and close connection with a leading international online gambling company are by themselves probably all the assurance needed that this is a reputable site that treats its players fairly. But PartyCasino offers much more. For starters, PartyCasino is licensed by the Government of Gibraltar and regulated by the Gibraltar Gaming Commission. In addition, all of the games have been independently certified for fairness by eCogra. This organization is very strict, so when you see their seal of approval, you know for a fact that the site it is affixed to is trustworthy. Our only criticism is that most eCogra certified casinos report monthly updates of average payout percentages right on the website so players who would like to review this information can readily access it. However, the data appear to be missing from the PartyCasino website. Meanwhile, for further assurance that you have nothing to worry about, all of the PartyCasino games have also been independently tested for fairness and randomness by iTech Labs. In addition, the casino expects nothing less than appropriate behavior on the part of everyone playing there. The casino has a zero tolerance policy for fraud and collusion, and any person found engaging in such practices will have his or her account immediately closed. PartyCasino is powered by Bwin's own proprietary software, bwin.party systems. The software is well designed, not overly cluttered, and easy-to-navigate. Like most major online casinos today, PartyCasino lets you access the games in your choice of three ways. The first is to download the user-friendly software onto your computer, a quick and easy process that should not take more than a couple of minutes. Alternatively, you can use the instant play flash version, which is both PC and MAC compatible, for immediate access to selected games from any browser. Last, but certainly not least, you can get the party started wherever you are, playing your favourite games on your phone or tablet. Unfortunately, if you live in the U.S., you will not be able to play at PartyCasino, at least not on this site. However, if you live in or will be visiting New Jersey, you have access to the New Jersey-run PartyPoker site. Online casinos, like land-based casinos, come in all sizes from huge to tiny. PartyCasino, with 160+ games, is relatively small, at least when compared to the giant casinos boasting 500 games and more. However, all of the most popular slot and table games are included, and most players should find the options more than adequate. One positive aspect of not having an overwhelming number of games to choose from is that you can find the game you want faster and probably won't have to waste valuable time trying to figure out what to play. Of course, it wouldn't be much of a party if the choice is so limited that you would quickly run out of options and become bored. That is not likely to happen at PartyCasino either. If you are a slots player, you have plenty of choices, from classic 3-reel slots to action packed 5-reel video slots with games within games, innovative extra features like wilds and scatter symbols, and many ways to win. Familiar Marvel slots are also included in the mix, along with some unique custom made slots you won't find anywhere else. But wait, that's not all. There is a lot more money waiting to be won on the PartyCasino jackpot slots. That is where every so often one lucky spin will make someone, and it could be you, an instant millionaire. In fact, on August 8, 2014, a player on Melon Madness on PartyCasino Mobile won the biggest mobile casino jackpot in history, £1,448.50. But there is a lot more money yet to be won in PartyPoker jackpots. Will you be the next person to hit it big on your computer, smartphone, or tablet? There's only one way to find out! If you prefer table games to slots, or if you like to mix up your play, PartyCasino has a nice selection of games for you, too. There are quite a few varieties of blackjack to choose from, though not as many roulette variations as offered in the casinos with 400 or 500+ games. 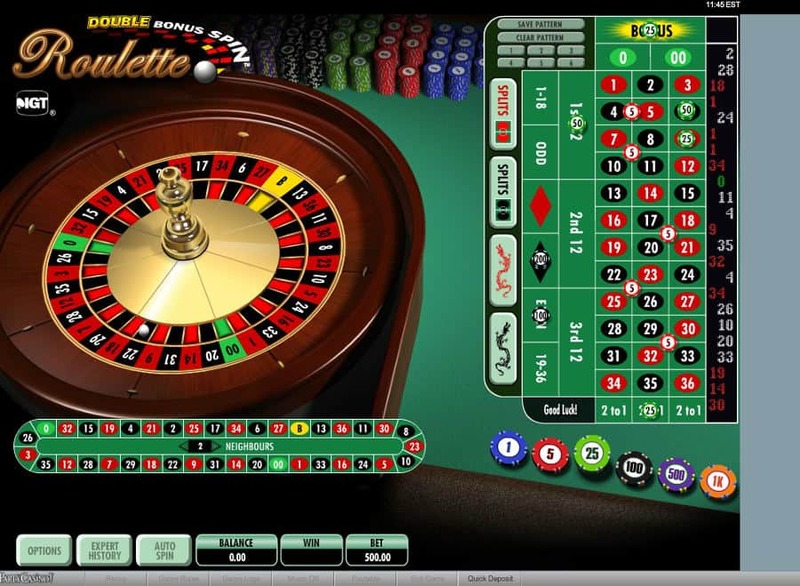 However, you can select the more favourable European Roulette (with just a single zero) as an alternative to American Roulette (with both a single and double zero). If you are undecided about what to play, or if you would like to practice a little, you can use play money on the table games before switching over to real money. New players should also take advantage of the handy How to Play guides for the various games. If you are using real money, live dealer games provide another exciting option. This is your opportunity to recreate an authentic casino experience without having to make the trip. Play blackjack, roulette, or baccarat and watch your dealer in action just like in a real casino. You can even carry on a conversation with the dealer and other players, just like in a real casino. One more suggestion, not that you are likely to get bored with so much casino action to choose from, but just in case you like other kinds of gambling, too, don't forget that the Party poker room, bingo room, and sports book are just a click away. With one stop gambling, when you want to change games, you can do so instantly. You won't need to look anywhere else. Banking at PartyCasino is easy, fast, and safe. You are given a wide range of options for depositing money into your account, so you should not encounter any problems. There might be additional methods specific to certain countries that are available to you as well, which you can check on with Casino Support. Most of the deposit methods can also be used for withdrawal, but again, check with Customer Support to make certain. For your convenience, USD, CAD EUR, and GBP are all accepted as currency. In addition, if you wish, you can use your mobile device in place of your computer to do your banking. Whatever banking method you use, the casino's use of advanced encryption technology ensures that all of your personal information and financial transactions are fully protected. If you have any questions or concerns about banking or any other casino related matter, Customer Support is available 24/7 to help. The service can be accessed via live chat, phone, or email and is offered in 12 languages. The PartyCasino Welcome Bonus is superior to what most other online casinos offer new players in two respects. First, it is both generous and fair. On the one hand, players won't feel shortchanged because the bonus looks stingy compared to what other places are offering. On the other hand, the wagering requirements are reasonable, not near impossible. Secondly, the casino gives you a choice of two great bonuses, either the traditional slots bonus or a roulette bonus expressly designed for roulette players. The availability of a roulette bonus that is actually playable is highly unusual. 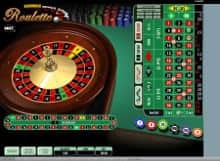 At most online casinos, either roulette does not count at all towards meeting the bonus associated playthrough requirements for withdrawal or only a small fraction. For example, some nearly impossible amount of play like 120x the bonus would be required. Here are the terms of the two PartyCasino bonuses. In both instances, the required play is based on just the bonus, not both the bonus and the deposit amount together, as at many other casinos. Then, as soon as you satisfy the requirement, the bonus, your deposit, and any associated winnings are all available for withdrawal. Some casinos treat the bonus as a match play only and take it back even after you meet the playthrough requirements. At PartyCasino, once you earn the bonus through your play, it is yours, as it should be. Keep in mind that roulette is the only game other than slots that counts toward meeting the bonus playthrough requirements. You will have to decide on day 1 when you claim the bonus, which you can do through Cardschat using either the promotional code WELCOME BONUS for the slots bonus or the promotional code FREE $250 for the roulette bonus, which of the two you prefer. You cannot get both. Also, if the amount of play for the maximum deposit is more than you can afford, you can and should deposit less and take a smaller bonus. The minimum deposit is only $10. All in all, this is one of the best bonuses we've come across looking at many online casinos. And if you love roulette and have been disappointed that other online casinos wouldn't let you play roulette to redeem your bonus, the Roulette Welcome Bonus is perfect for you. At PartyCasino, player recognition doesn't stop with the Welcome Bonus. You continue to earn points for all of your play which, of course, is good reason to keep coming back to enjoy the party. Different games earn points at different rates. For example, slots receive 1 Party Point for each $25 wagered, roulette receives 1 Party Point for each $50 wagered, and blackjack receives 1 Party Point for each $150 wagered. As you accumulate more points, you can redeem them for merchandise in the casino store. Some of the bigger items you can get are gadgets, electronics, luxury items, and vacations. The more you spend at a time, the better value you get. There is also a 5 tier loyalty level program, for which purpose your points are recalculated monthly to determine your level (or quarterly for the two highest levels). The five levels are Bronze, Silver (400 monthly points minimum), Gold (1,000 monthly points minimum), Palladium (9,000 points per quarter minimum), and Elite Palladium (by invitation only). Once you reach a given level, you stay at that level for the following month or quarter. Palladium and Palladium Elite players receive special VIP benefits, including a personal host, a birthday and account anniversary bonus, access to the VIP programs calendar, higher deposit and withdrawal limits, higher value in the store for redeeming points, and exclusive VIP games. Even if you don't qualify for VIP status, you are not excluded from many exciting extras that all PartyCasino goers can partake in; this aptly named casino, just like a party, is always buzzing with excitement. Here are a few promotions going on right now. VIP Luck of the Draw: This is a monthly promotion for VIP players only that runs from the beginning of the 15th of the month to the 14th of the next month. After depositing $100/month and earning 100 points, on the 20th of the next month, you'll receive a card indicating the randomly determined prize you've won. Prizes range from reload bonuses to $3,000 cash. There may be associated playthrough requirements for withdrawal. The Voyage: Every week you can take a virtual voyage in the hope of moving up the leaderboard ranks to share in the Sunday treasure chest booty. The higher up on the leaderboard you are, the bigger your prize. While players who finish far down on the leaderboard only win token prizes, the top 3 finishers are rewarded handsomely. The "Captain" (the player occupying the top spot) on the leaderboard for Bronze, Silver, and Gold players wins $1,000. The Captain on the VIP leaderboard wins $3,000. The Adventure Series: Every Monday players are invited to embark on a new "adventure" consisting of a few specific games for which you receive extra rewards (i.e., double points or cashback) if you try them out. Refer a Friend: Players have the opportunity to receive a special reward each time they refer a friend who signs up and plays, too. See the website for details. There's a lot to love about PartyCasino, and a lot that makes every moment feel like a party, no matter where you're playing from. Sign up now and join the party. You'll be glad you did. Having developed their own games, Party Casino have full control over what their software can and cannot do. And this means that yes, their games run on all major mobile devices. 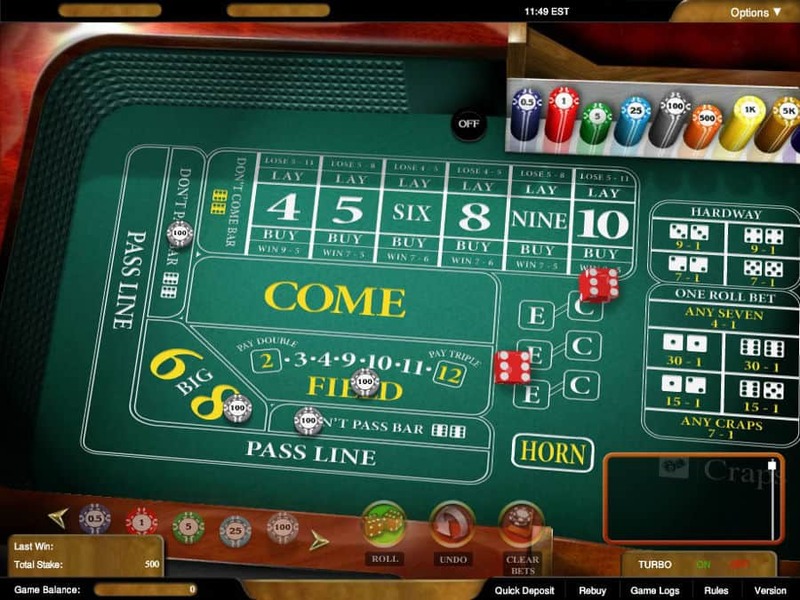 As well as the usual iOS, Android and Blackberry systems, Party Casino games can also be played on Windows and Symbian-powered phones. In fact, any device that can run a Java extension can open the Party Casino games, and there is no download involved. The choice in mobile games is not huge but neither is it too limited: you get access to 40 unique, high-quality games that cover all the major genres: fruit and sea-themed slots, card games and a bit of all else you would usually do when you are at an online casino. Party Casino creates its own games and sells them to only a very small amount of other casinos so it is worth checking out even just for the twist they have put on all the usual games, and some of the exclusive concepts they have produced. The fact that the poker, bingo and sportsbetting rooms are all easy to switch between is just one of the many advantages of Party Casino. Something that makes Party Casino unique is its separate site for New Jersey residents, making it one of the only sites still in existence that works on US soil. The array of 320+ games make for many hours of fun and they are all certified by eCogra for fairness and high payouts. The banking is encrypted to the maximum, while still being simple and convenient, and the welcome bonuses do a good job keeping you playing for long enough to get the hang of the games. Party Casino has a lot of things going for it and is one online casino worth your time. Join Party Casino today and double your deposit up to $750!